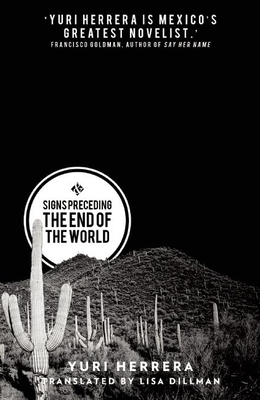 Discussing Signs Preceding the End of the World by Yuri Herrera. Traversing this lonely territory is Makina, a young woman who knows only too well how to survive in a violent, macho world. Leaving behind her life in Mexico to search for her brother, she is smuggled into the USA carrying a pair of secret messages - one from her mother and one from the Mexican underworld.